The UN Committee on the Elimination of Racial Discrimination (CERD) will review the implementation of the corresponding convention in Turkmenistan on 30 November-1 December 2016. Meeting in Geneva, the Committee will examine information provided by Turkmenistan’s government about progress made since the situation in the country was assessed four years ago. The lack of reliable and comprehensive statistical data on the ethnic composition of Turkmenistan’s population. The failure of Turkmenistan’s authorities to take adequate measures to support and safeguard the right of minority communities to preserve and develop their culture, as well as to prevent discrimination against minorities. Few if any opportunities of national minority members to study and receive education in their own languages, and the enforcement of dress and other requirements that are discriminatory against students from national minorities. The recent adoption of a new law on religion that retains the ban on activities of unregistered religious communities and imposes serious restrictions on the establishment of places of worship, the import and distribution of religious literature and other basic religious activities. Intimidation and harassment of religious minority communities and the continued lack of a civilian alternative to compulsory military service, which negatively affects religious minority members who refuse to carry out military service on conscientious grounds. Serious restrictions on access to information from foreign sources, including those providing information about the situation of national and other minorities in the country. This includes blocking of websites and the dismantling of satellite dishes. 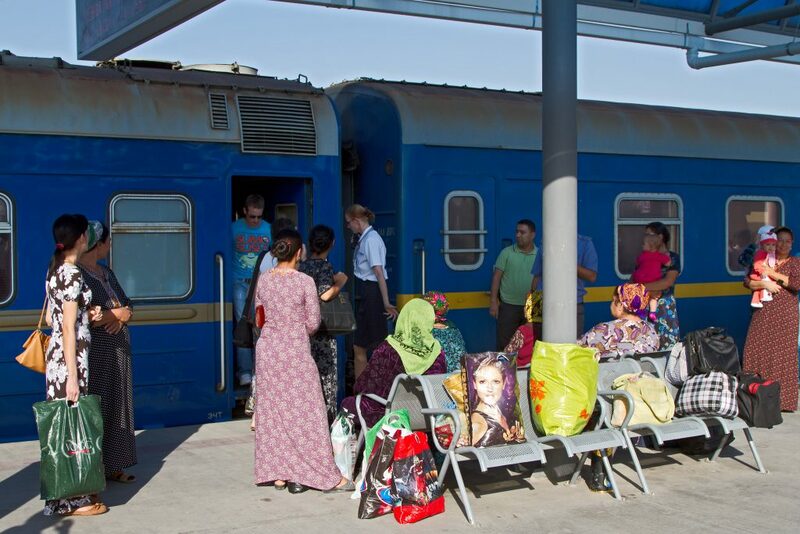 The continued enforcement of the Soviet-era propiska system in ways that limit freedom of movement and other fundamental rights of residents, including internal migrants. Arbitrary bans on travel abroad, which violate freedom of movement and other fundamental rights and undermine opportunities of citizens to benefit from inter-cultural exchange. The alternative report is based on information obtained by TIHR through its monitoring of developments in Turkmenistan with the help of an in-country network of activists, as well as analyses of national legal instruments and other relevant information. Ahead of the CERD’s review of Turkmenistan, which will involve an inter-active dialogue with a Turkmenistani government delegation, Committee members met with TIHR representatives to discuss issues covered in the report in more detail.